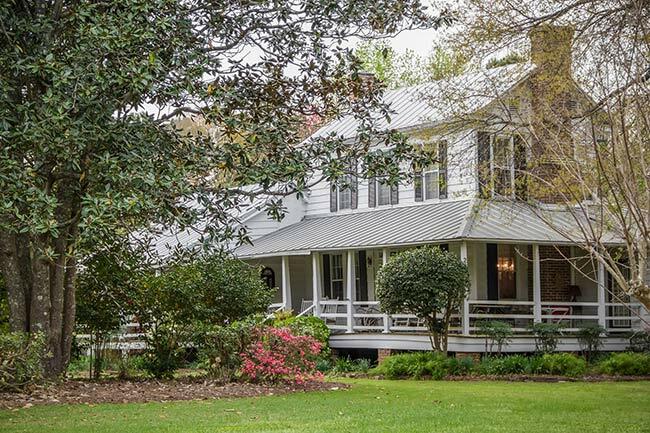 The William Robertson House, commonly known as the Wampee Plantation Summer House, is a two-story frame structure built in 1844. The house stands in the village of Pinopolis in Berkeley County. The village was founded by wealthy planters as a summer retreat. The prevalence of pine trees, as well as a higher elevation, provided presumed health benefits during the hottest months of the year. Further, while Pinopolis was not located on Lake Moultrie at the time, it afforded a chance for the families, normally confined to their plantations, to enjoy visiting with neighbors. The Wampee Plantation Summer House was one of the earliest residences in the village and has a central-hall floor plan which was popular as it allowed excellent cross-ventilation. Wings were added to both the left and rear elevations in later years. The interior of the home is simple, without much adornment, as were most in the village, since the homes were primarily used only during the summer. As mentioned above, Pinopolis was once landlocked but today stands as a peninsula surrounded by the murky waters of Lake Moultrie after the surrounding land was flooded during the Santee-Cooper Hydroelectric Project in 1939. (Wampee Plantation Summer House) The William Robertson House is a two-story frame house, sheathed in weatherboard, reputedly built ca. 1844. 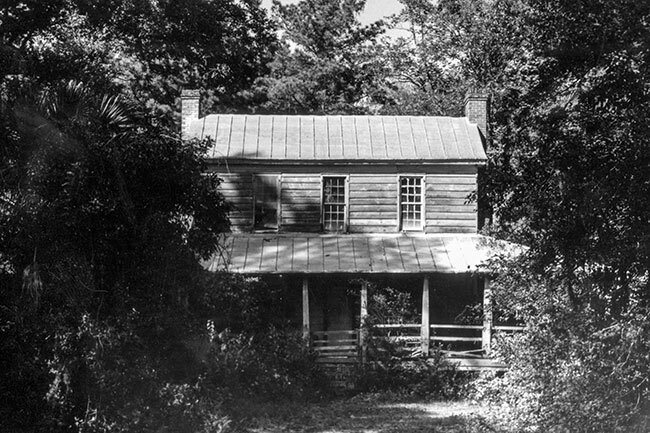 The house was one of the early planters’ retreats in the pineland village of Pinopolis. It is three bays wide with a hip roofed, one-story porch spanning the façade and wrapping around the right elevation. The main roof and the porch roof are covered with standing seam metal. Two exterior brick chimneys with corbeled caps rise at the ends of the building. The nine-over-nine windows support the antebellum dating of the building. It has wing additions on the left and rear elevations. The house is representative of the vernacular central-hall farmhouse or I-House type as adapted to the summer village of Pinopolis. With the decline of the planter classes after the war, many resort villages turned to commercial ventures for their livelihood, however this was not the case in Pinopolis. Preferring to preserve the quiet community atmosphere of their resort village, the residents of Pinopolis blocked several proposals that would have attracted development. This decision helped Pinopolis retain its integrity as a pineland village.